시천견록및서천견록(詩淺見錄및書淺見錄)는 우리나라 최초의 유교경전 해설서이다. 고려말·조선초의 유학자 양촌 권근(1352∼1409)이 지은 『오경천견록(五經淺見錄)』가운데 하나로서 『시경(詩經)』과 『서경(書經)』에 대한 해설을 하고 있다. 권근은 공민왕 17년(1368) 과거에 합격한 후 여러 관직을 거쳤으며, 조선을 개국하는데 공이 커 개국공신에 봉해진 인물이다. 이 책은 12장의 필사본으로 ‘시설(詩說)’이라는 작은 제목이 붙어 있으며, 『서천견록』25장과 함께 묶여 있다. 충청도 관찰영인 금영에서 세종 11년(1429)∼세종 12년(1430)에 발간한 것으로 추정되며, 인쇄는 그리 깨끗하지 못한 상태이다. 한국 유학사에 경전을 해석한 전문서로서 그 가치가 높이 평가된다. Si cheongyeollok and Seo cheongyeollok are the first commentaries on Confucian classics ever published in Korea. They are part of Ogyeong cheongyeollok (Commentary on the Five Classics) by Gwon Geun (pen-name: Yangchon, 1352-1409), a scholar who lived between late Goryeo and early Joseon, and contain commentaries on Shijing (Book of Poetry) and Shujing (Book of Documents). After successfully passing the civil service examination in 1368 (the 17th year of King Gongmin’s reign of Goryeo), Gwon Geun held various government offices. After the founding of Joseon, he was also bestowed the title “Gaegukgongsin” for his contributions toward the creation of the new kingdom. 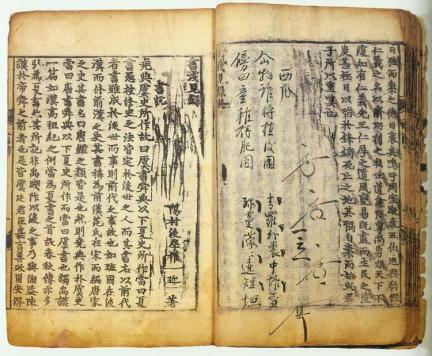 Si cheongyeollok consists of twelve sheets and has a subtitle “Siseol (Discussions on Poetry)” below the main title on the cover page. This book is bound together with Seo cheongyeollok which consists of twenty-five sheets. It is believed to have been published in 1429-1430 (the 11th-12th year of King Sejong’s reign), in Geumyeong, the headquarters of Chungcheong-do’s provincial administration. 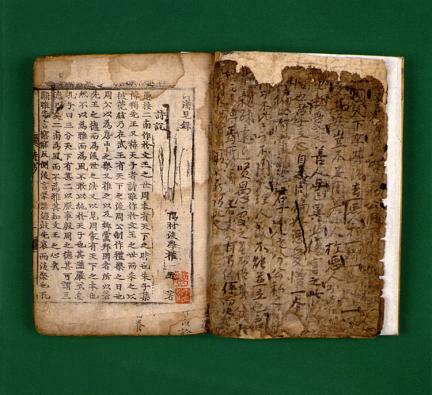 Although not great in terms of printing quality, this book has a unique historical significance as an early commentary on Confucian classics.